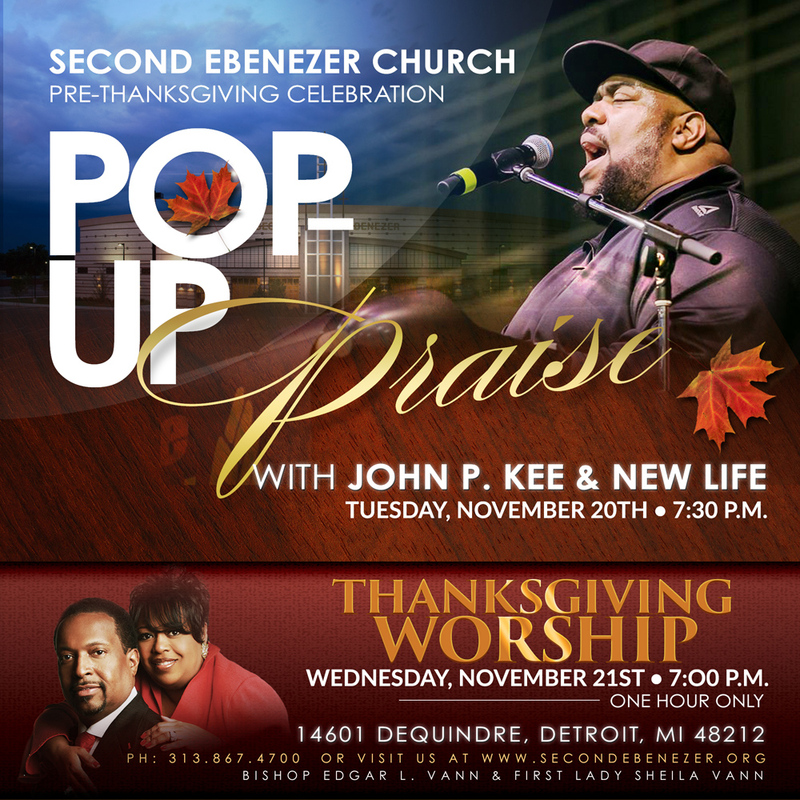 John P. Kee and the New Life Community Choir bring their Change the World tour to Second Ebenezer as we kick off this week’s Thanksgiving celebration! This event is free to attend. Bring your family and friends for a night of thanksgiving and praise!